The 2016 Major League Baseball World Series sees American League champions Cleveland Indians taking on National League champions Chicago Cubs, with both clubs looking to end long World Series droughts. This is the Indians’ first World Series appearance since 1997, having not won the title since 1948, while the Cubs are making their 11th appearance and looking to win for the first time since 1908. Their combined 176 years without a World Series win is the longest combined drought ever seen in the competition. As many would assume, a matchup of this historic proportion has drawn a lot of punters' attention, but if you're not from the States, picking a World Series winner can be tough. Check out this guide to the Series to ensure you walk away with cash! Looking at the two teams’ route to the World Series, Cleveland qualified for the post-season after claiming their eighth American League Central title. They then progressed to the American League Division Series, beating Boston Red Sox, before winning the American League (AL) pennant with a 4-1 series victory over Toronto Blue Jays last week. It's already been a good sporting year for the city of Cleveland, with the Cleveland Cavaliers winning the NBA championship for the first time in their history. A third ever World Series win for the baseball team would round off a great 2016 for the city. The Indians have made gradual progress in recent years under the leadership of manager Terry Francona, who guided Boston Red Sox to two World Series titles. Boston won 4-0 on both occasions, so Cleveland fans will be hoping that their manager can maintain his perfect record in World Series matches. The Chicago Cubs ended their 71-year wait for a shot at the World Series with a six-game victory over the Los Angeles Dodgers in the National League (NL) Championship Series. 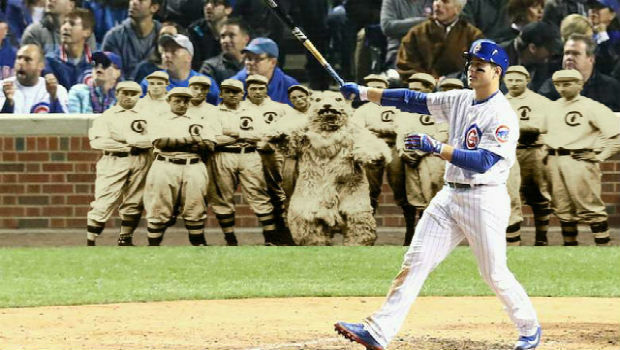 The Cubs’ only two previous World Series wins came in consecutive years in 1907 and 1908, both against the Detroit Tigers. Cubs manager Joe Maddon’s only previous appearance in the World Series was in 2008 as manager of the Tampa Bay Rays, when they lost to the Philadelphia Phillies. Considering his squad had the lowest payroll of any team that year in the league, the fact that he even reached the Series that year was unbelievable. The bookies are unanimous in backing the Chicago Cubs to win their first World Series in over a century. At best odds of 4/7 with betway, the Cubs are strong favourites, having won 103 games during the regular season. With Jake Arrieta, Jon Lester and experienced pitcher John Lackey in their rotation, they're certainly a forced to be reckoned with. In fact, Lester is the favourite to win the Most Valuable Player (MVP) award at 8/1 with Betfair. Pitcher Andrew Miller is the shortest-priced Indians player at 9/1. The Cleveland Indians were not fancied to beat Boston Red Sox in the AL Division Series, let alone reach the World Series. They do have the advantage of a few days’ extra rest before the first game on Tuesday 25th October, with Chicago only concluding their game against Los Angeles Dodgers on Sunday. Francona has a few injury concerns in his team, although starter Danny Salazar is expected to be fit. Second baseman Jason Kipnis injured his ankle while celebrating their victory over Toronto. If you fancy the Indians to cause an upset, you can get odds of 9/5 with bet365 on a Cleveland win. If you want to go even further and back Francona to maintain his perfect record in the World Series, bet365 is offering odds of 28/1 on a 4-0 series win for the Indians. The Indians also have home advantage after the American League won the All-Star game. This means that the first two games will take place at Cleveland’s Progressive Field stadium, with the next three taking place in Chicago. Not since 1981 has a team won the World Series after losing the two opening games away from home. Incidentally, a 4-2 win for the Cubs is best-priced at 4/1 with Ladrokes. So, although the Cubs are firm favourites to win, there are certainly some factors in favour of the Indians, not least Francona’s record in the World Series and their home advantage. For the best range of markets on the MLB World Series, head to Ladbrokes today, where new customers can currently claim a free bet of up to £50!